but it did inspire me to write this in honor of the little ones. Sadly earlier tonight Oct 26, 2009 the news media reported that the other child also passed away. Tissue Alert: It is sad. Station 51 was first on the scene of the house fire. The entire second story of the large mansion was already engulfed in flames that shot up into the night sky creating an eerie haze of light mixed with smoke that blanketed the neighborhood. Several neighbors stood in awe of the flaming beast as it ate away all traces of the upper story. The curtain in one of the windows moved. Was it moving as a result of the fire or was there someone in that room? Squinting up towards the sight Johnny tried to see if there was anyone there. Roy grabbed the binoculars from the side compartment of the squad and quickly placed them over his eyes. There was a child in that room too short to get the window open. How many others were in that inferno? "Cap! There's a kid up there!" Roy yelled as he pointed up to the window. Johnny was already pulling on his SCBA and running toward the front door. Roy was close on his heels. They didn't know if they could even get up to that room, but they were going to give it their best shot. Chet and Marco grabbed a hose and followed their two friends into the mouth of the dragon without even having to be told what to do. Captain Stanley called dispatch for assistance. He grabbed another line and directed the water towards the roof above the room where the child had been seen. He knew it was not much help, but he had to try. Mike set the pressure on the hoses and started setting up the gear from the squad. He hoped they would need it. In the distance of the quiet night sirens could be heard. Help was on its way. "My babies! My babies!" A distraught woman came running toward the house. Mike sprinted over and grabbed her as she ran towards the burning house. "Help them please! Oh God please get them out of there!" "Ma'am who is in the house?" Mike asked. "How old are they?" Mike had to pull information from the panicked woman. "Marissa is three. Joseph is two." "Is there anyone else in the house?" The woman hesitated before answering that question. "No….I…I j..just went…t..t…to the corner…f…for milk. I was…..only….I was only gone….for a minute. Oh my God!" She fainted in Mike's arms. Mike lifted the woman and carried her over to the blanket he had earlier spread out by the squad. He grabbed the oxygen and put the mask on her. Just as he was about to call his captain for help another squad pulled up. The two paramedics from station 16 came up and took over care of the woman. "Cap there are two children up there: a girl, three, Marissa and a boy, two, Joseph. They're the only ones in there." Captain Stanley had shut off the hose to give instructions to the arriving units. He raised the HT to his mouth and called for Johnny and Roy. Inside the structure Johnny and Roy raced toward the stairs that would lead them up to the child they had seen in the window. Marco and Chet were trying to beat down the fire that threatened them. The stairs were fully involved. Thinking fast Johnny pulled a sofa table over near the above landing, grabbed a straight back chair which he placed in the center of the table, and climbed on top. He reached up to the railing above and out of sheer will pulled himself up enough to climb over. He was followed closely by Roy. Johnny grabbed his partner and pulled him the rest of the way up. Captain Stanley would not have approved of their not so safe method of achieving access to the upper story, but they didn't want to waste time trying to call for a ladder. The upstairs was burning out of control. If Cap had seen the fire for himself he probably wouldn't have allowed the boys to go up there at all. Taking a minute to get their bearings in the smoke and fire filled hallway they hunkered low and almost crawled through the raging fire to the door to the room they thought the child would be in. Just as they got there the HT crackled, and they could hear their captain calling out to them. Roy grabbed the HT and responded. "HT 51 to Engine 51." "There are two children in the house. One is a three year old female, Marissa and the other a two year old male, Joseph. No other victims. Get them and evacuate immediately. We can't hold this. I repeat get out now." "10-4 Cap we are at the room now." Johnny rose up and checked the doorknob. He found it to be locked. He stood up and kicked the door in. The room was filled with thick black smoke. The curtains where they had seen the child were now being swallowed up in flames. The bed covers were also burning. Every where they looked there were flames. 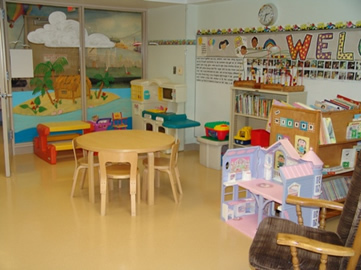 The two firemen moved cautiously into the room constantly scanning the area for the child. It was a big room and was filled with large oversized expensive furniture. Thinking the child could be hiding anywhere Johnny and Roy got down on their knees and started a sweep of the floor. Roy crawled over to the bed and looked under. He hoped the children would not be found there with the bed burning so rapidly. They weren't even sure the two would be found together. Johnny moved to the armoire. He pulled open the heavy doors all the while thinking they were too heavy for a small child to open, but he had to check. Roy went over to the closet. Many scared children hid in closets. Maybe he would find them safely tucked away in the corner of the closet. Johnny thought he heard some coughing coming from the other side of the room. The noise of the raging fire was deafening. He couldn't be sure, but he couldn't ignore it either. He tried to follow the sound he thought he heard. The two firemen were nearing exhaustion. The heat from the flames zapping all the strength they had, but they forged on searching for the two children. They wouldn't give up until they had found them. They just couldn't. Their uniforms clung to their overheated bodies. Sweat dripped from their ringing wet hair. Their arms and legs trembled from the stress and exhaustion, but they kept looking. Johnny finally found his way through the smoke to the area where he had heard the noise. If it was possible he thought the fire was worse in this area of the room. Flames shot up the walls and spread across the ceiling. In the corner huddled together he saw the little girl trying to protect her baby brother. "Roy! Over here!" Roy immediately came over to his partner. They were near the window that they had originally seen the children in. Roy reached up and pulled the flaming curtains down tossing them away from the children. He grabbed a plain wooden rocking chair and flung it unceremoniously through the window. He then grabbed his helmet off and used it to clear the edges of the window frame. The firemen below were already placing a ladder at the window. Roy grabbed the boy and handed him out to the fireman waiting on the ladder and then turned to Johnny. Johnny had picked up the little girl. She had third maybe fourth degree burns on her arms and feet. Her dress clung to her little body like a new skin. Johnny had placed his face mask over her angelic face and was talking to her trying to comfort her. Her beautiful green eyes stared up at him. A single tear slid down Johnny's cheek. He knew she was bad. He lifted her up as he stood and moved toward the window. A fireman was at the top of the ladder waiting for Johnny to hand out the girl. "I've got her," he told the waiting man as he carefully climbed out the window onto the ladder. Together the two firemen made their way down, the first man spotting Johnny with his precious cargo. Roy came down last. As he looked up from just below the window ledge he could see the room collapsing in on itself. They had barely gotten out in time. Was it in time he thought? Did they get the children out in time to save them or would they succumb to the smoke and burns. As he descended the ladder Roy thought about what he had seen. The boy looked okay on first glance, but the girl. She was so brave to protect her brother. If she lived she would have scars to remind her of this fateful night for the rest of her life. Once he reached ground Roy ran over to the blanket by the squad where Johnny sat cradling the little girl his face mask having been replaced with an oxygen mask. He too needed some oxygen having taken quite a bit of smoke while giving his life saving air to the girl, but he would wait until she was safely delivered to Rampart. The paramedics from station 16 had already transported the mother of the children and were treating Joseph for smoke inhalation. Roy came over and knelt down beside Johnny to get vitals on the girl. Johnny held her close. "She needs saline on her arms Roy." "Okay Johnny just hang tight. I'll get it. Roy administered the saline and sterile wraps while Johnny continued to try to soothe Marissa by talking to her and keeping eye contact. She had the most beautiful green eyes. "Johnny Rampart advised we start an IV of D5W and one of normal saline. I'm going to piggy back them in this arm. The other one.." He never finished the statement. They both knew the other arm was too badly burned. If she lived she might lose that arm. "She is so brave Roy. She didn't even cry. Marissa your mommy and daddy are going to be so proud of you for saving your brother. You just hang in there little one. Everything will be okay." Johnny's voice cracked as he talked in soft tones to the girl. She continued to watch him as he spoke. "Okay Junior we're ready to transport. Why don't you go in with her and I'll meet you at the hospital." Roy reached out to help Johnny to his feet. He was struggling with a raspy cough, but Roy knew he would never let go of the girl. Before moving to the ambulance Roy helped Johnny out of his turnout coat. Once Roy had the pair secured in the ambulance and the bio-phone set up so Johnny could reach it, he shut the ambulance doors, gave them two hard taps and watched as they drove away. "Roy is she going to be all right?" Captain Stanley knew in his heart the answer, but he asked anyway. "No Cap. I don't think so." "Well the house is a total loss. We just had to let it burn. There was nothing we could do. Did you know the mother had run down to the corner market and left those two babies here at home alone? Can you believe she left a three year old and a two year old here with no one to watch over them?" Captain Stanley walked away rubbing the back of his neck. He just could not believe anyone would leave their young toddler children at home alone even for a minute. Roy packed up their gear and left in the squad to retrieve his partner. The engine crew stayed behind to assist the other stations with clean up. In the ambulance Johnny continued to talk to the little girl. Her eyes were growing heavy and when she blinked it took longer and longer for them to open again. "Try to stay awake precious. Dr. Brackett will want to see those pretty green eyes." Johnny felt the turn of the ambulance and the subsequent reverse of the vehicle as they backed into Rampart's emergency entrance. The doors popped open and Johnny carefully moved to the rear of the bench seat still holding Marissa. Dixie McCall stood waiting at the automatic double doors. "Treatment four Johnny." She took his elbow to steady him as they made the journey down the busy hallway to the treatment room, and then held the door so he could enter. Johnny walked over to the treatment table and laid the girl down carefully. She never stirred. He knew they were losing her. He gently stroked her hair and bent down and kissed her forehead. Then he backed away from the table and gave his report of her condition and vitals. Dr. Brackett thanked him and began to assess his patient. He knew. They all knew. Time was limited. The damage was too much for such a small girl: her airway was burned, her arms beyond repair, her body in too much trauma. Johnny turned and left the room. He never stopped at the nurse's desk for coffee. He didn't go to the lounge to wait for Roy. He walked purposefully toward the exit and disappeared through the doors. Roy was just backing in when Johnny walked out. He stopped the squad and before he could put it in park Johnny was opening the doors to the compartments to store the equipment. He wiped his face on his jacket sleeve, then he opened the passenger side door but before getting into the squad he was overcome with a harsh coughing spell. "Johnny did you get checked out?" "No Roy Let's just go. I'll get some oxygen at the station. I can't stay here." He climbed into the squad and stared out the windshield. He looked like he was shell shocked. Roy had seen military men with the same look after they had survived a battle only to see their troop mates killed in action. "Okay Johnny. Let's go back to the station. I'll set you up on the oxygen in the dorm while you lay down for a while." "Sure Roy. That sounds good." He coughed again. They drove back to the station in silence. Johnny's eyes never left the windshield. As they backed into the station Roy looked over at his partner. He was really worried about Johnny's state of mind. "You know we did all we could Johnny." Roy got Johnny settled in the dorm after a hot shower. He set up the oxygen and had called Dr. Brackett for him to give permission for a breathing treatment. Johnny drifted to sleep as soon as Roy started the oxygen flow. Captain Stanley had stood the squad down long enough for Johnny to finish the treatment. "Roy is he going to be all right?" Captain Stanley was worried about his junior paramedic. "Yeah Cap. He just needs that breathing treatment." "No Roy I mean after this run, the little girl. Will he be all right?" "Yeah Cap in time he will. As soon as we have a run where we can actually make a difference in the life of a child he will." Roy patted Captain Stanley on the shoulder. "He'll be just fine." Marissa's funeral was held three days later and all of the A-shift from Station 51 was in attendance. Her brother Joseph had recovered completely having only suffered smoke inhalation. Marissa had protected him from the fire. She was a hero. Their mother would need psychiatric counseling to recover from her guilt in the situation. The father had been away on business. It was not known if there would be criminal charges against Marissa's mother for negligence, but many people thought there should be. The fire department charity for the family of loved ones lost in fires, usually for spouses or parents who needed help to get back on their feet, made a sizeable donation to the children's ward at Rampart on behalf of Station 51 to create a playroom for recuperating burn victims. It was a happy little room filled with toys for children of all ages. The walls were painted green. They called it Marissa's Corner.